The Sterling College History and Government Department prepares its majors with a rich understanding of culture, geography, government, science, literature, and religion. As you study the people and events that have shaped the world and continue to affect current public issues, you will gain a strong understanding of United States history and both Western and non-Western civilizations. Our program will challenge you to think critically and form reasoned arguments and judgments. If you are interested in teaching history in a 6-12 classroom, you can also complete the professional studies coursework simultaneously. Upon completion, you will be prepared to take the appropriate licensure exams for your 6-12 Kansas teaching license.  Please note: Sterling College Online courses are not available to international students at this time.